Easy-to-set up, cost-effective and great documentation. Easy to customize and enhance. Option to upload any number of photos. Option to create multiple albums/categories. Supports all default features of Joomla. Tested and validated on all major browsers versions. Tested and validated with maximum number of Joomla templates. Options to import albums from Picasa in one click. Options to import albums from Flickr in one click. 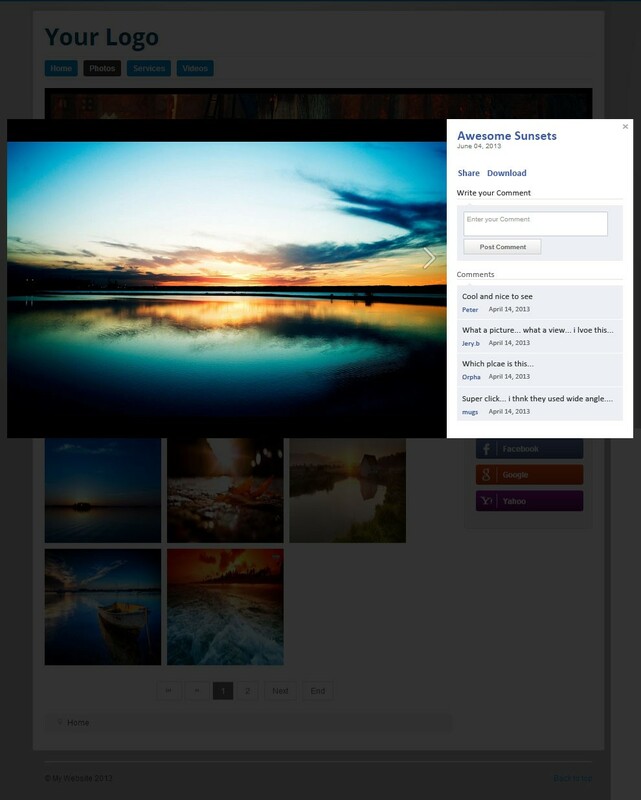 Displays images in a stylish and elegant Facebook image-like feel. 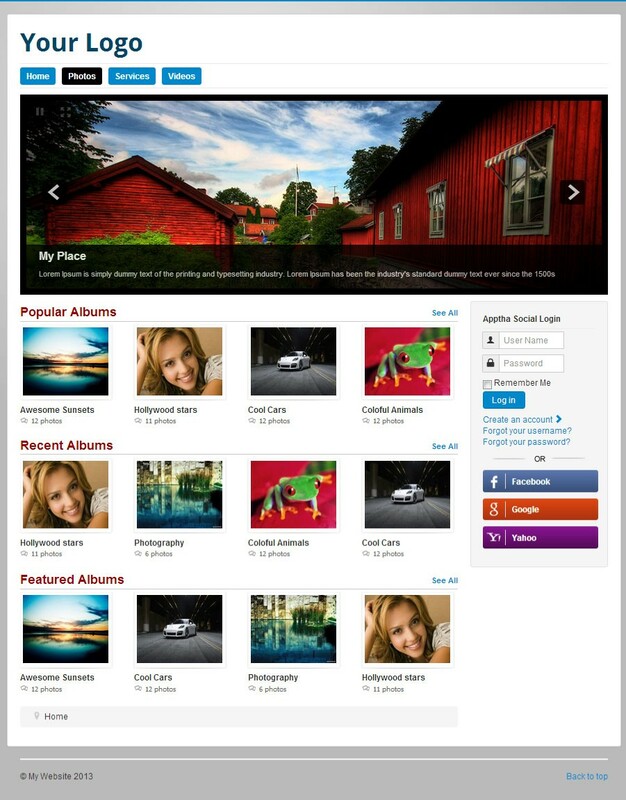 Display entire album list in thumbnail format with Joomla pagination. Excellent categorization of albums based on recent, popular and featured categories. 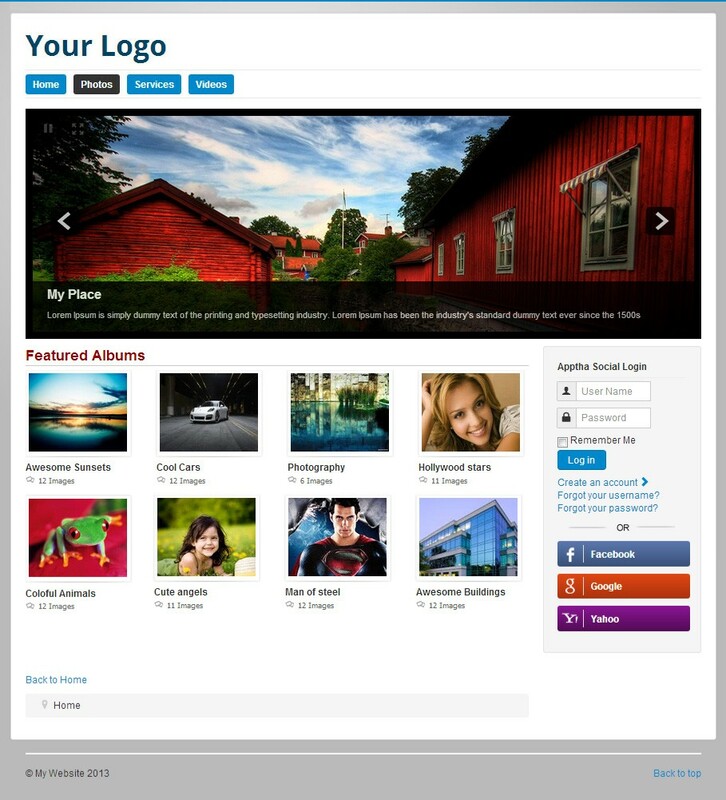 Display of images based on the album selected with Joomla pagination. Allows admin to add mind-blowing slide shows of any particular albums/images in the banner with ease. Impressive transition effects with timing to the images in slideshow. Display of watermarked images in the lightbox popup. Display of images based on the album selected in slideshow. 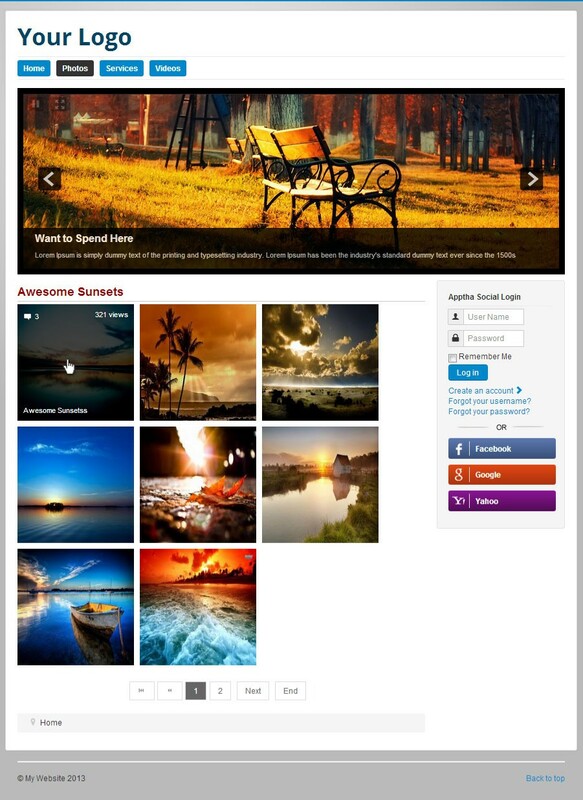 Display of images in slider based on recent,featured,popular category. Maximize image view with "light box" effect as in Face book. Default Joomla login option to post comments. Option to download and share images/photos. A simplest mean to engage with your customers via online is by adding multiple albums and photographs to websites. A well-designed photo or image has the ability to deliver the business benefits easily to your customers. Apptha’s Face Gallery helps online entrepreneurs to create, edit, organize and manage multiple albums, photos, images efficiently. Install our cost-efficient fantastic extension to display list of popular, recent, and featured albums with ease. Besides, import albums from Google, Flicker accounts easily using Face Gallery extension. This extension also provides the users with the options like Share and Like very similar to that of Facebook. Relish excellent image transition effects by setting perfect time limits using our fabulous extension. Also, this extension offers admin a complete control over it. Exhibit images and photos in a grand manner for an enhanced online performance and incredible sales!